KAMPALA – This morning National water and sewerage corporation MD Dr. Eng. Silver Mugisha and staff shared goodies with children at Nsambya Babies Home. A number of food items, sugar, toilet paper, soap, cleaning materials, pampers, toys among others were shared as an early Christmas gift to the home. According to Dr. Silver, the children too are customers of NWSC. He said that the corporation paid water bills for the home and will continue supporting the children’s home. 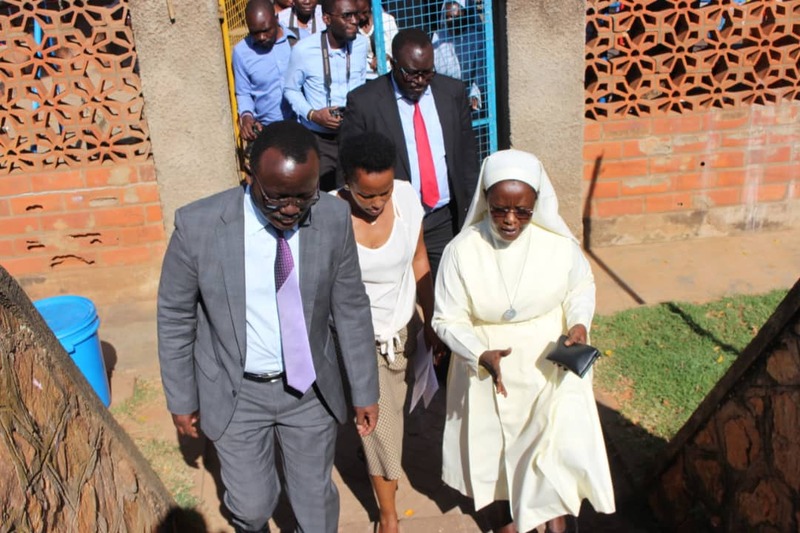 Director Child Welfare and Adoption Society (CWAS) Sr. Sarah Christine Nalwoga appreciated the support from NWSC. For the past years during the Christmas season, the corporation gives back to a number of less privileged communities to enable them to enjoy the Christmas festivities.